Nepal or California: Who Has More Earthquake Coverage? Recently, I’ve explored in this blog the potential earthquakes in the New Madrid and Cascadia seismic zones. (By the way…little rumblings in New Madrid this week.) One of the main points of those blog posts was how underinsured the property is in those regions, where the seismic risk is possibly underappreciated. Let’s take a look at California, where everyone knows a big earthquake is going to happen; including the USGS, which suggests California has more than a 99% chance of having a magnitude 6.7 or larger earthquake within the next 30 years. Granted California has a recent, memorable, and folkloric earthquake history, awareness is not a problem. Everyone knows it’s coming. Meanwhile, robust models exist for insurers to offer the coverage, too, with California Earthquake one of the first cat models ever built. With property owners aware of the risk, and insurers equipped with the right analytics to insure against the risk, California should have a higher insured rate than the New Madrid and Cascadia regions. But no, California has the same lack of earthquake coverage. 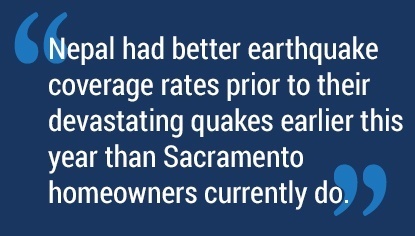 In fact, according to AM Best (subscription required), Nepal had better earthquake coverage rates prior to their devastating quakes earlier this year than Sacramento homeowners currently do. The same lack of coverage found in other seismic zones is found in California, too. 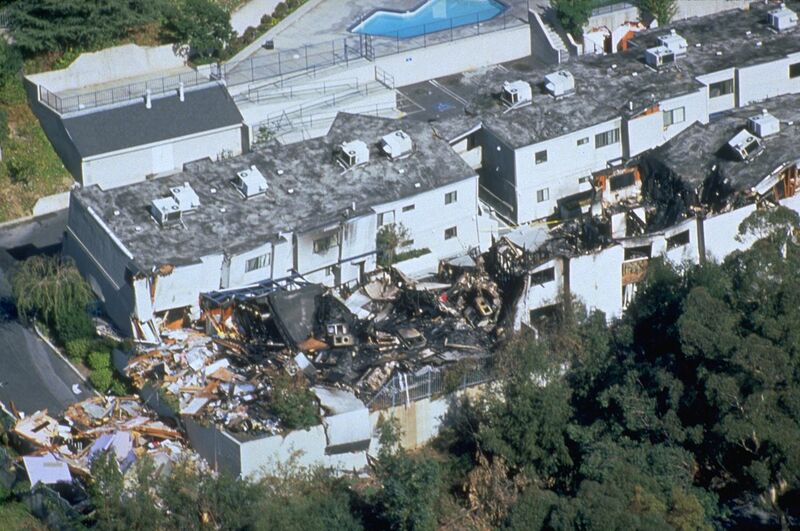 One of the reasons for this low penetration is that premiums scaled up rapidly after the 1994 Northridge quake, near Los Angeles. As premiums doubled in the space of a year or two, homeowners dropped the coverage en masse, making it even more difficult for insurers to collect enough premium to cover the risk. The California Earthquake Authority (CEA) was created to offset the vicious cycle of the shrinking risk pool after Northridge. Today, the CEA is the largest earthquake insurer in the state, with 36% market share. The difference between California and the other states is that they are more advanced in working to get property, especially residential, adequately covered. The state insurance commission is lowering premiums and offering more selection on CEA policies. Meanwhile, the CEA is aggressively marketing the need and availability of coverage through their California Rocks campaign, which includes direct mailing, and advertising in addition to the website. Like the New Madrid and Cascadia regions, there is an opportunity in California to expand earthquake coverage. CEA is leading the way and a handful of carriers are close behind (notably Zurich, GeoVera, AIG and Ace) serving the available market for earthquake coverage in the state. Only 11% of homeowners in the state are insured against quake, meaning there are over 10 million homes in the state without earthquake insurance. The necessary analytics exist for both risk assessment and exposure modeling, and the marketing is being handled by a state-run organization. Insurers not currently active in California Earthquake are missing an opportunity to expand their US residential portfolios in a market so big that in other parts of the world it would be considered a “national” market.